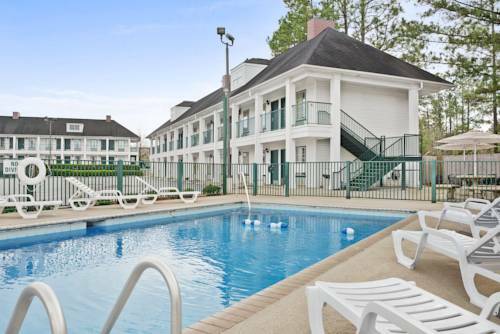 The Days Inn Americus is a great destination for all travelers to the Americus area located conveniently near Highway 280 East, Route 30 and 27. In every comfortable and spacious room you will find a mini-refrigerator and microwave. The pet friendly hotel also boasts free high-speed Wi-Fi Internet, complimentary breakfast, and fitness center. With beautiful Victorian homes, excellent shopping, southern dining, and great entertainment, Americus is the perfect destination whether you are traveling for business, pleasure, or simply passing through. Take time to soak in all the south has to offer with shopping, history, dining, and charming southern hospitality. The home of former President Jimmy Carters just a few miles away in addition to the remnants of Andersonville Civil War Prison Camp. Americus is also home to Habitat for Humanity International which is 2 miles west.